A refreshing, hydrating mask for your client's with especially sensitive skin can be hard to find. Take a look at Chamomile Modeling Mask. It is also extremely effective for your clients with allergy conditions, which makes this a perfect add-on for the spring! Chamomile has both antiseptic and anti-inflammatory abilities that help with clogged pores for an effective acne treatment! With the natural benefits of chamomile, mixed with its relaxation elements, this mask is a must-have! For all you skin care professionals out there looking for a comprehensive skin care line with retail products, I will be writing a series of blogs on the Amber 5-Step Skin Care program, and the amazing Amber Skin Care Products. Today, I will be introducing the program to you, and will follow up with more in-depth articles about each step and the numerous Amber products available for each during the weeks to come! The Amber Professional Skincare products comprise an innovative, comprehensive product line, which makes it easy to link the professional treatments your clients receive at your spa with their daily skin care routine at home. These products truly deliver; they are successfully used in spas around the country, and selling the retail products to your clients is a great way to add profit to every service, as well as increase client satisfaction and keep them coming back! Amber Professional has developed a 5-Step Skin Care program not only for you, the skincare professional, but for your clients too! This program allows you to use effective yet gentle skincare products to handle all skin care needs, all in one easy-to-understand program. This (maybe obvious) but extremely important step is first to making sure your client's skin is treated properly during your treatment. By cleansing the skin well, you will remove debris, excess oil, and start to unclog the pores. 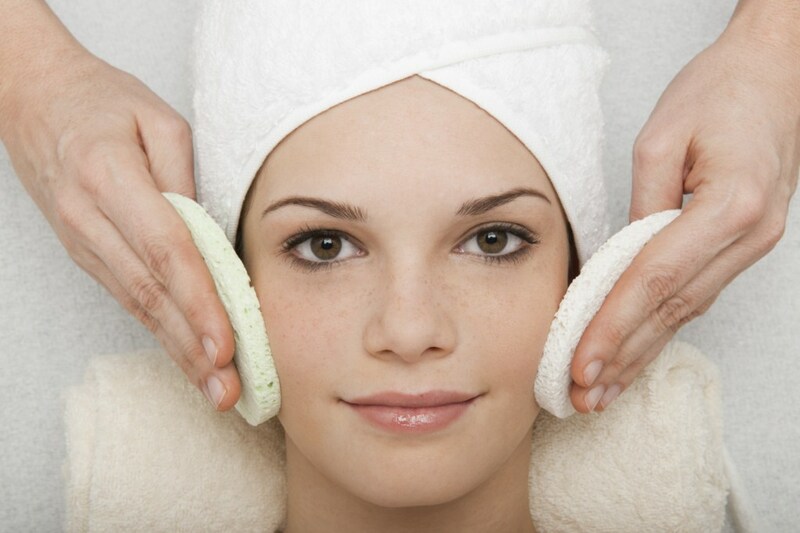 An effective exfoliation is necessary for a successful skin care treatment. Exfoliation involves the removal of dead skin cells clogging the surface of the skin, and it also promotes cell turnover for a healthier skin base. Exfoliation is not a step that needs to be performed every day. This is where you, the skincare professional, and your wealth of knowledge is needed the most. You must analyze your client's skin in order to determine which repair action is needed. This step is equally as important during your professional service as it is at home on a daily basis. The hydrate step not only refers to moisturizing the skin, but this is a great time to mention to your client the importance of drinking plenty of water! Sun and free-radical damage is the majority of the skin damage skincare professionals see, so encourage your clients to use daily SPF!